LFW is off to Thoroughbred Park’s Melbourne Cup Race Day in November and we’ve been chatting to a few people, including the amazing Power of Presence guru Trish Murray, so we thought we’d pass on a few tips to get you through the day in comfort and style from top to toe—literally! And, use the opportunity to plug some of our fave local fashion designers at the same time. 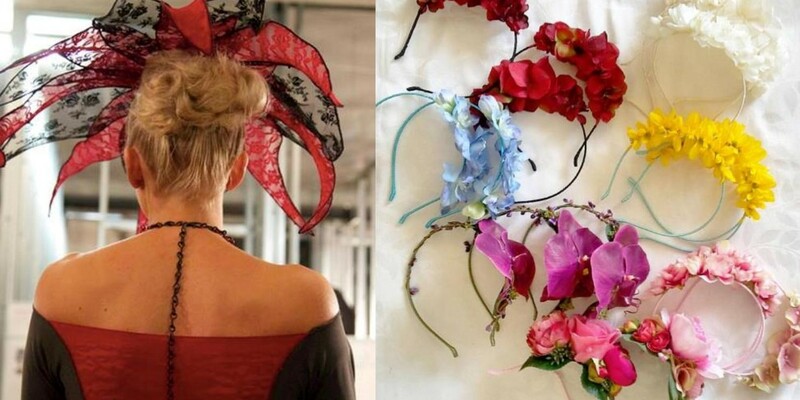 Wear a hat, or fascinator, or even a hatinator … but definitely wear something on your head. 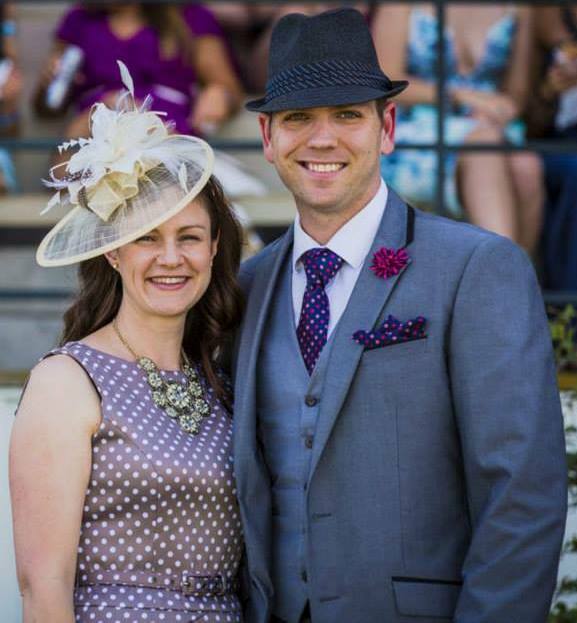 Wearing a hat serves two purposes—it looks good, it saves your hair if it’s a windy day, and provides shade on a hot day … OK that’s three. 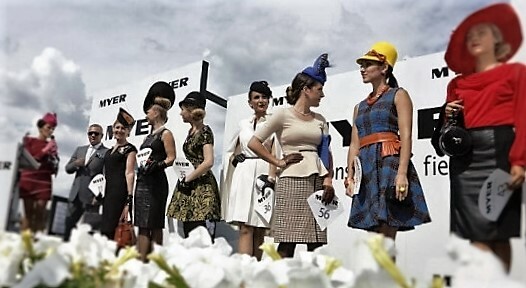 Plus, it’s almost THE LAW to wear something on your head at the races. Check out these stunning designs from Sovata (right), BM Designs, and spring floral bands from PeonynPearl (see images below). Wear a dress. Forget the pants—leave those to the guys—and get a nice dress. Preferably not too much cleavage (note: from Myer Fashion on the Field ‘a predominance of exposed skin is not classed as classic race wear’), and unless it’s pushing 40 degrees celcius cover your shoulders—you don’t want sunburn the next day and you don’t want to be constantly hoisting up skinny straps that slide down. Come to think of it, if it is 40 degrees even more reason to cover your shoulders, and a nice light short jacket or shrug style is perfect. Who can forget the famous Parliament House dress by Zilpah Tart? Check out her gorgeous spring/summer Bloom Collection. Get some colour. You can add pizazz to monochrome with colourful shoes or bag, or stick to black and white and go wild and colourful with your head wear. According to Vogue (the guru of all fashion) spring/summer colours are lemon, tangerine, strawberry pink, subtle greens, bright blues, and hot peach. 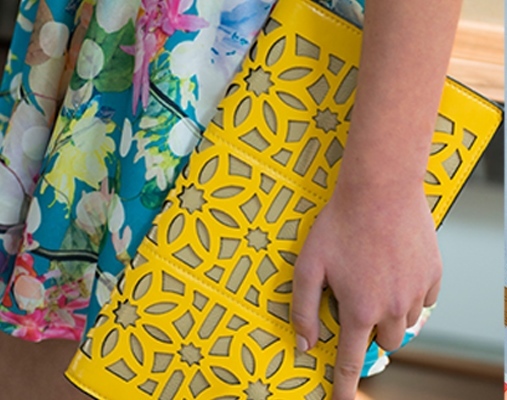 Get a nice clutch bag—one that comes with a slender detachable shoulder strap is handy for après races. You don’t need to cart around a big tote or handbag. Get a clutch that will hold a small purse, phone, lippy, keys, and a couple of tissues. The lovely Sash & Belle has a great selection of clutches and small handbags just perfect for the event. Don’t overdo the jewellery! You can sparkle without covering yourself in bling. Coco Chanel had this great tip ‘before you leave the house, look in the mirror and take something off’. I think she meant jewellery … yeah, she did. Legs. To tan or not to tan. To wear stockings or no stockings. It’s always the legs … Seriously though, if you wear sandals then forget the stockings, and if it’s scorching hot definitely forget the stockings. If you absolutely must get a spray tan make sure you do it a couple of days before so it has time to calm down a bit. Alternatively, you can just get a good quality over-the-counter fake tan. We recommend Ambre Solair or Le Tan, both of which are easy to apply and give a nice subtle tint. Wear wedge heels. They’re more comfortable on grass and uneven surfaces, and offer a bit more support if you’re standing for long periods. Spindly heels are definitely a no if you’re on soft surfaces! Sandal wedges with an ankle strap are trendy, comfy, and look great. and finally … get your toes done! Polished toes are a must in sandals. So there you have it. LFW race tips—from top to toe! 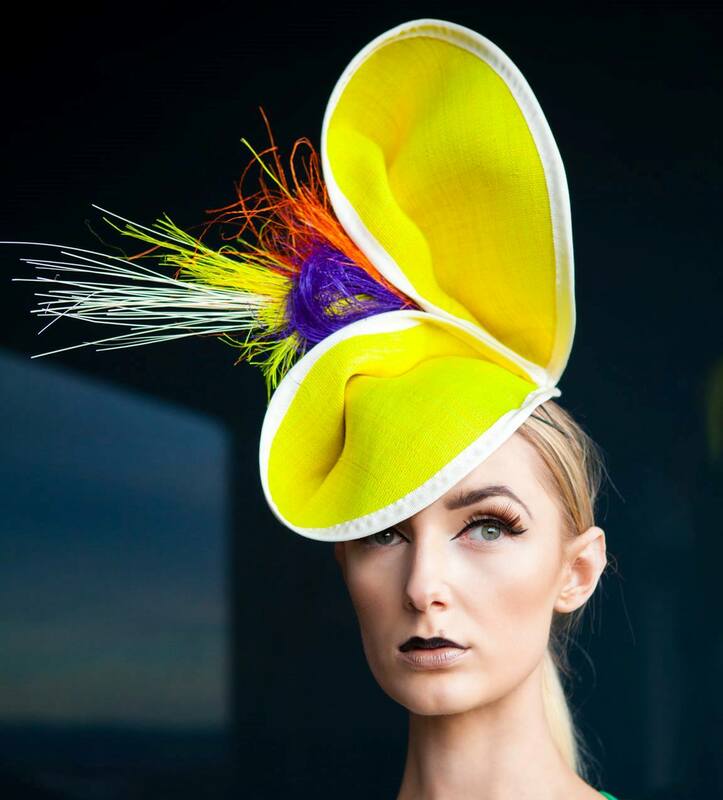 This entry was posted in LFW Style and tagged BMdesigns, Canberra Racewear, I Love Billy, Melbourne Cup, Missano, PeonynPearl, Sash & Belle, Sovata, Thoroughbred Park, Top End, Trish Murray, Zilpah Tart on October 4, 2015 by gracienumber1.